"This juice is great for everyone who wants to lose weight or follows a healthy lifestyle. Some people don't like vegetable juices. By combining vegetables with fruits, it becomes a delicious and healthy meal. Drink immediately or refrigerate for up to 24 hours." 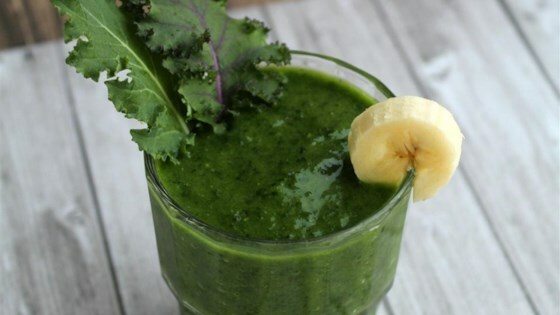 Run kale and banana through a juicer according to manufacturer's instructions. You can use blender instead of a juicer. I cut the kale into 3x3-inch pieces before running through the juicer. It kept me wake through the whole day and I wasn't craving any thing sweet.